Include SEO for Organic Search Results as well as Direct Mail thru Every Door Direct and the United States Post Office for your business Marketing campaigns. SEO for organic search is the most cost effective way to attract quality visitors to your website and convert them into customers that want to spend cash on your products and services. Another way to reach potential customers is Every Door Direct Mail from the United States Post Office. Contrary to whst most people believe direct mail is still alive and well and it is very affordable. If you are a business that is trying to reach out to consumers Direct Mail get's your name and information in front of businesses fast and inexpensively. 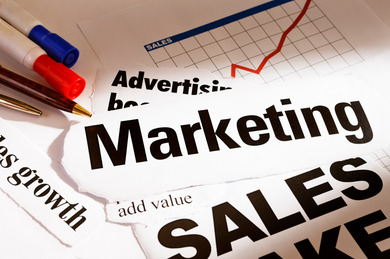 Results Business Marketing has experience working with businesses utilizing direct mail to target a new or existing customer base. Every Door Direct Mail service is an easy, cost-effective way to reach potential customers near your business. Just create your mailpieces however you like, then select postal routes and pay for postage online. Next, bring your mailing to your local Post Office™ for delivery to every household on your chosen routes. Pinpoint the neighborhoods that you fell offer the best chance to convert consumers into customers. Over sized Postcards are a very effective tool your business can utilize to reach out to consumers. These pieces stand out and provide a great way to get into the hands of potential new customers. The cost for mailing an over sized postcard is right around .23-27 cents. Compare that to mailing a letter and it is almost half the cost!! Couple that with the low cost to design and print the post cards you can mail for less than.50 cents per piece. Add the low cost of mailing to the ability to really target potential customers in your are and you have winning marketing method that is affordable for businesses of all sizes. Of course there are marketing methods for B2B Direct Mail also the mailing costs are a little higher but it is still a very affordable way to get your name out there. When you combine the effectiveness of organic search online with the ability to target a direct marketing campaign to those most likely to be searching for your type of business you have a very potent combination of affordable marketing services. You don;t have to be a major player to play in a major way. Small businesses have access to the same tools large businesses do. You just have to know how much you can get done, on a tighter budget utilizing as many inexpensive methods you can find. 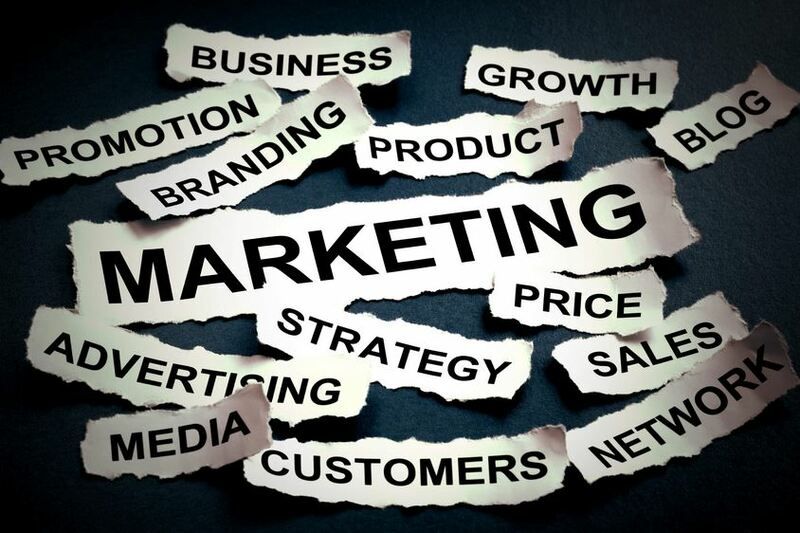 We used to call this type of marketing Gorilla Marketing, however in the current climate we are going to utilize the phrase "maximizing cost effective marketing for business". Not quite as fun but a lot more politically correct and effective terminology. If you are interested in SEO or Every Door Direct mailing contact Results Business Marketing. We have experience designing and mailing postcards as well as Organic SEO programs for all types of businesses. Let's look at a few stats directly from the search engine giants themselves. 2. 72% is the percentage of US Google searches others include Yahoo, Bing, etc. 3. Percentage of searches from Mobile devices are over 1/2 or close to 550million searches per month. I could go on and on but you get the idea. Google is the king of the search engine hill. Having said that it is important to not put all your eggs in one basket. Bing and Yahoo have their place in your SEO tool box as well. Bing has teamed up with Yahoo in some aspects of their search. They share submission tools that allow you to submit your website to both search engines at the same time. Also Bing has a tool called Places.Much like Google maps or Google Local as it used to be known Your business shows up in local search targeting your immediate area. Yahoo has also re-established a relationship with Google sharing some tools and allowing for a more effective local search. If you just focus on Google you run the risk of disappearing from search if you get caught utilizing Black Hat SEO techniques or in the event of a search alogrhythm shake up what you were doing last week may not work this week. Google penalties can be hard to recover from. If you utilize more search engines you reduce the risk of a devastating impact occurring due to circumstances beyond your control. SEO is a balancing act. If you do too much search engines will see you as spammy. If you don't do enough you run the risk of being over run by your competition. If you rely on only one search engine you run the risk of being black balled. It;s so confusing. It really doesn;t have to be so confusing. Learn a little bit about what makes quality organic search for one search engine and you can translate that across the board. Although Google has their own search criteria similar techniques can work to get your website ranked highly on Yahoo and Bing. Contact a Professional Local SEO Company like Results Business Marketing. Over 12 years of experience ranking businesses like yours in Major Search Engines. Why h1 h2 h3 tags are relevant to on page SEO when planning and building a website. If you are building a website for your online enterprise you have many things to consider. Relevant text tagged images and paragraph structures to name a few. There are many different ways to go about building a website such as purchasing a software program utilizing a cloud based service, Wordpress type online webdesign program or one of the many build your own site websites out there. Most of these can help you to build a decent website, however if your site can not be found by search Engines like Google Bing Yahoo etc. you are going to be very disappointed in the number of visitors and sales you will make. So today we will talk about a very important aspect of the architecture of a website they are called H1 H2 etc. tags. These tag types are known as header tags. They inform the search engines as to what your website is about. Although you can utilize H1-H6 tags the most relevant will be the H1-H3 tags they inform the search engine spiders the most relevant info about your website. Utilizing the proper text within these tags is extremely important since search engines are utilizing them to identify the content of your site they should be well thought out paragraphs and descriptions of your products and services. While it's certainly true that a page can rank high in search engines and have no structural tags in them at all. Sites that properly utilize these tags stand a much higher chance of showing up higher in search engine results pages. H1 is the most relevant paragraph on your websites landing page or any page you have defining your content. This generally indicates the topic for the entire Web page and is where most people look first when they're trying to figure out what the page is about. H2 Have relevancy and are important to identify 2nd layer subject or topics relevant to the information contained within your website. Overstuffing these paragraphs with keywords can lead Google to possibly penalize your site so like everything in SEO World discretion is a must. Don’t overdo it. H3 This is a lower subheading tag and although it should be utilized although the relevance may start to fall off a bit. Always try to use longer keyword string that are relevant to your topic but change up the words so all 3 H tags are different. In summary, Header tags are an important on-page SEO factor because they’re used to communicate to the search engines what your website is about. Search engines recognize the copy in your header tags as more important than the rest. This starts with your h1 and works its way down in importance to the h2, h3 and so on. These tags will help support the overall theme or purpose of your page. You cannot just throw in whatever content you want into these headers. It’s important to utilize your header tags with short-tail and long-tail keywords. 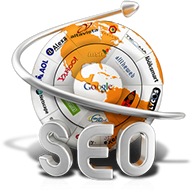 Minneapolis companies have a reliable SEO (search engine optimization) partner. 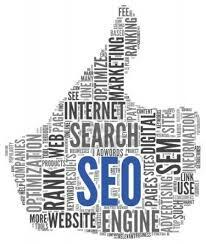 SEO has been likened to alchemy of the new digital age. That is to take a website or online blog from nowhere and make it highly visible in search engines like Google, Bing, Yahoo. A business that has an online presence needs to be found by potential customers that are searching for their products, services or advice. Once you build a website or blog you need to promote it so it is capable of being located in SERP’s (search engine results pages). Search Engines like Google for instance utilize Algorithms in some cases these can include up to 245 different formulas to determine which websites come up first when you search for a particular topic. If you are relying on potential customers finding you then paying attention to what the search engines require to match these algorithms is very important. Although search engines don’t like giving away their special sauce we know that a few factors weigh heavy on search results. Fresh Content: Quality fresh content is probably the most obvious and easy to duplicate that could be as simple updating content on a website or blogging and creating backlinks to your website thus adding fresh detailed content. Google is constantly refiguring their algorithms. In fact as we write this in late 2015 there is another change on the horizon. Panda’s, Penguins, and bears oh my. Well maybe not Bears but the latest changes named Panda and Penguin have aimed to weed out weak and poorly written sites as well as tackle Black Hat SEO sites or sites that utilize underhanded techniques to gain position in search engine results. A business partner like Results Business Marketing will work with you and utilize legal seo techniques to help you establish positioning and gain exposure in search engine results pages. There are as many companies out their claiming to have the magic bullet, the guaranteed way to get youranked in a top spot of google when searchers look for you. Please stop and run away. If anyone ever guarantees they have the answer they have broken the code and their system will get you to the top and keep you there run away. The smartest minds in electronic marketing work daily to break down Google’s formulas and they have yet to break the code. With as many as 245 variables it would be impossible to get ahead of the engineers that are aware of the formula. It’s like duplicating the exact formula for coca cola it’s never been done. If you are interested in building your online presence but are not sure you have the time to learn this extensive practice contact a professional company like Results Business Marketing. 15 years of experience working online.